By a long shot, the most popular trip I’ve sold in benefit auctions over the last ~3 years has been a trip to Cuba. For over 50 years, Cuba was a forbidden country for Americans. We couldn’t (legally) travel there. As the rest of the world marched on, time stood still in Cuba — and that’s what auction guests are eager to experience. They are hot for Cuba because it’s a step back in time. Magnificent buildings are occupied, but crumbling. Cars considered antiques in the United States are regular modes of transportation in Cuba. 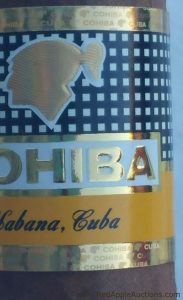 Cuban cigars are considered the best of the world and are now accessible. Starbucks, McDonalds, and other ubiquitous American stores don’t exist in Cuba. With Cuba being the most popular trip to offer, how does a nonprofit secure a donated trip? I’ve no idea, because every trip I’ve sold to Cuba was purchased by the nonprofit through an auction consignor. There are two consignors offering trips to Cuba. The trips are widely different. One trip offers guests the chance to stay in an upscale hotel (upscale, by Cuban standards) for 5 nights. Some excursions, like a ride through Old Havana in a classic automobile and a trip to a tobacco farm, are included. The rate is ~$7000. Another trip offers guests a week in a luxurious (luxurious, by Cuban standards) 3- or 4-bedroom private home. An onsite bilingual concierge will facilitate your stay, taking the initiative to set up dinner reservations in the nearly impossible-to-get-into restaurants and coordinating tours purchased (at an extra cost). The rate is $3500. 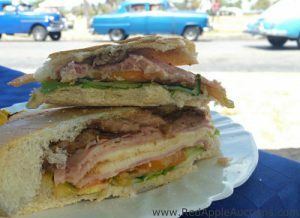 Which Cuba trip is best? 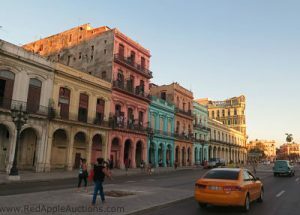 Though Cuba is an exceptionally popular trip, neither of these vendors might be the best fit for your nonprofit. One thing I’ve learned in 10 years of selling — it’s important to understand the breadth of packages consignors offer so you find the best fit for your group. The insider’s guide to the “risk-free package” industry reveals how to score priceless experiences at better rates. Get details on the class here. When clients talk to me about their experiences with consignment, I’ve noticed a few things. Sometimes Often they were paying a premium for a trip that wasn’t, well, premium. In other cases, they’d had a bad experience. The trip sold, but it hardly netted them a gain. A few of my smaller nonprofits were convinced that they could never successfully use consignment. I showed them how they could — and we did. After spending years selling consigned trips and hours upon hours on the phone with a number of companies, I have more than a few strategies for you to use. The 5 types of travel and experience consignors working the nonprofit space. ​​​​​​​The pricing models used and which model best serves your bottom line, depending on your event. How to use consignment in new creative ways, even if you’ve never done this before. Or even if you’ve had a prior bad experience. Regardless of whether you have a silent-auction-only, live-auction-only, raffles-only, or Fund a Need-only event, you can leverage consignment. How to sell consignment so it’s fair, transparent, and not awkward for your guests. This pop-up class is being offered once live. If you can’t attend, you’ll receive the recording. Get details on Mastering Auction Consignment here. Talk to you at 1 PM Eastern today, April 25, 2017. Not able to access the slide show. Did enjoy the phone info. though. I would like to be able to find and print the slide info. please. Kay, I’ll pass your comment over to my tech gal. She’ll send you the directions for logging in to get the slides. Glad you enjoyed it! I couldn’t get the slide show either, but MIKE emailed it to me. He’s my hero! Please send the link to today’s recorded session. The call in number did not connect us to the live session. Celeste, you’ll receive an email when the recording is ready — watch for it in the next 24 hours. Sorry you had trouble joining in! I participated in the auction consignment conference call earlier this week, but cannot access the slides. Can you please email those to me? Thank you. Sorry to hear that! I forwarded your request to my tech support to have her follow up with you. She’ll likely send you the login-password again.